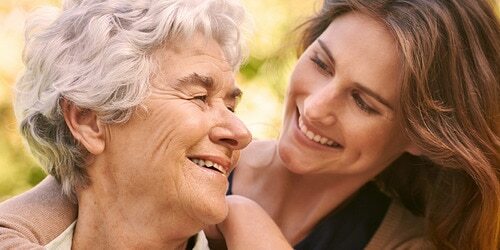 The dementia incontinence stage: information about dementia. If someone close to you is getting on in years, they might start being forgetful. Or easily confused. Or unable to do tasks they used to do easily. Those signs could be the onset dementia, a common disorder in later life. The important thing is to bear this in mind and find out as much as you can about their condition. Getting a good understanding of what they face every day, will help you to provide best possible care for your loved one. You can find more information on dementia from our partner Dementia Forum below. “Dementia” is a generic term for a range of symptoms caused by damage to the brain. It can manifest itself in different ways, depending on which parts of the brain are affected. Normally, the person’s memory and ability to plan and carry out everyday tasks are impaired. Language and the person’s concept of time and orientation capacity are other so-called cognitive capacities that are adversely affected. Worry, depression and behavioural changes can also be part of the pattern of the illness. The symptoms make it difficult for people with dementia to cope with life without support from those close to them. The term “dementia” describes a set of symptoms that include loss of memory, mood changes, and problems with communication and reasoning. There are many types of dementia. The most common are Alzheimer’s disease and vascular dementia. Dementia is not a single disease. It is a generic term for a range of symptoms that may be due to various diseases and types of damage. We have chosen to concentrate on the five most common forms of dementia, though we will also briefly describe some of the other forms. Alzheimer’s disease - The disease makes it increasingly difficult to communicate. Early diagnosis is important. Vascular dementia - Vascular dementia usually progresses in bigger or smaller steps following a major and minor strokes. Fronto-temporal dementia - Fronto-temporal dementia is one of the primary degenerative dementia diseases. Huntington’s disease - Huntington’s disease is very uncommon: 5 out of every 100,000 people are estimated to have the disease. Lewy body dementia - Lewy Body dementia is estimated to account for 2–20 per cent of all cases of dementia. Mixed dementia - Mixed dementia is present when symptoms account for more than one type of dementia simultaneously. Secondary dementia diseases - Secondary dementia diseases cover around eighty diseases and injuries, e.g. brain tumours, alcohol abuse and various deficiencies. Parkinson’s disease - Parkinson’s disease is caused by a deficiency of the neurotransmitter called dopamine and accounts for 1.2–3 per cent of all cases of dementia. Receiving a diagnosis of a dementia disease may come as a shock for you and your relatives and you have probably experienced a lot of emotions following this. It is however important to acknowledge that life is far from over. Life is about opportunities and challenges, even in difficult situations.